With the launch of our new Homecraft Interiors website it has meant we are able to start selling more beautiful furniture pieces! At Homecraft we love selecting perfect individual items to sell to our customers, our interior designer has a keen eye for unique objects with lots of style. Our collections of furniture will appeal to a wide range of people, easily sitting in a variety of different decors. So whether you have a traditional family home or you’re more partial to the contemporary urban living we have some wonderful pieces to suit you. Here’s a selection of some of our favourite pieces from this seasons key trends. 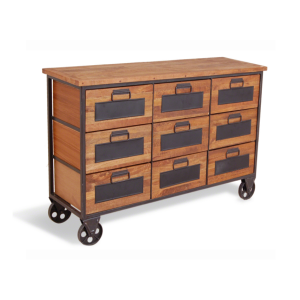 This stunning apothecary chest is my key piece of the season, it is part of our industrial living range and just oozes urban living! I love the industrial style as it can be so practical and robust for family living with lots of storage. 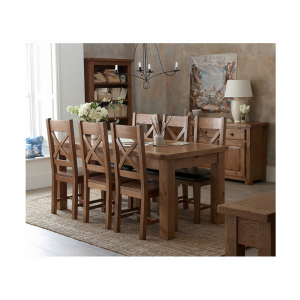 Designed to offer a stunning rustic reclaimed look, the full range features coffee tables, chairs, dining tables and stools. You really can go all out and create the ultimate contemporary urban loft look, I’m finding it hard not to splash out and buy the full range! How can anyone not love this chair!! I have chosen this as my favourite piece as I love traditional items with a contemporary twist so this was a no brainer it is the perfect addition to our furniture range. The chair oozes glamour and style adding life to any room and we are proud to say that the design is exclusive to Homecraft Interiors. You will notice that on all images across the website and on this blog we have featured the label “made in the UK” at Homecraft we support all furniture made in the UK. 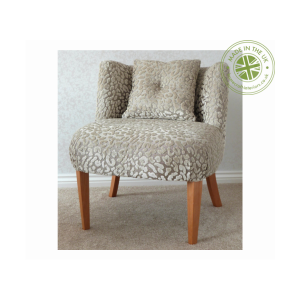 This particular piece is made by our own upholsters therefore we can ensure it is of the best quality. I love classic style, therefore this stunning piece of furniture is my personal favourite and just timeless! Royal Oak is definitely a classic material that can suit both contemporary and modern living environments. This dining table was a definite must buy when we saw it as we believe it oozes luxury and class. The solid royal oak is a timeless look you can just picture it in a wonderful country farmhouse. You can complete the look with other pieces of Royal Oak range. A definite stand out piece of furniture! When I first saw this piece I instantly though glamour and style. 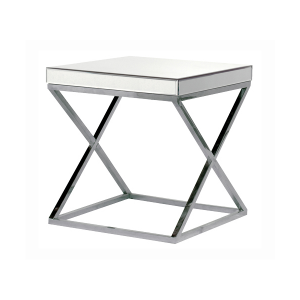 The table features a stunning mirrored top and an elegant art deco style which would definitely spruce up any home. Mirrored furniture has been a common trend but this piece takes it to another level, enhancing a decor and reflecting light but don’t be afraid to mix it with wooden items as well as other mirrored pieces. Browse our full range of furniture on our website, will keep you updated on any new additions that we love!